and share it and collaborate with business users in an unprecedented way. We`ll take care of the back-end infrastructure, SW and updates, technical support and administration so you can focus on your business content. We make life easier and more productive, not just for IT and the Business Intelligence department, but for everyone in the enterprise, putting the power of information directly into your end users' hands. Secure connection with customer intranet or road warriors. For details see Security chapter. for upload of metadata dumps or data models. The automatic loading of metadata to your Semanta instance. Clone of the production instance restored from backup for development and testing. Dedicated virtual private server for a customer. Instance resource are dynamically adjusted based on number of licensed users. Access to the Semanta knowledge base and issue tracker. Instance performance and resources are remotely monitored and email notifications are sent on threshold values. Each instance is backed up in the cloud, and to a geographically different location as well. Backups are encrypted. Our goal is to minimize your work and effort in any installation and technical deployment. Save your energy and focus on the social adoption in your company. We need strong management and enthusiastic owners. Get your default installation at your finger tips. We will customize Semanta according to your company's needs. Give us your metadata (all data models, reports platforms, business dictionaries) and we will load them for you. We will train your people (admin, power users). You can create your own content (it is your business now, just create content which will attract users). Go to production (assure good internal marketing - we can help you). Be there for your customers - watch, answer, create, play, monitor. Enjoy the glory of your success. Cloud security is one of our top priorities. See a detailed description about how we approach security on all levels or have a look at a case study. When you have a team of Nuclear geeks getting together to discuss and collaborate on "how to start a nuclear reactor", you need a really secure cloud solution to keep their thoughts safe. 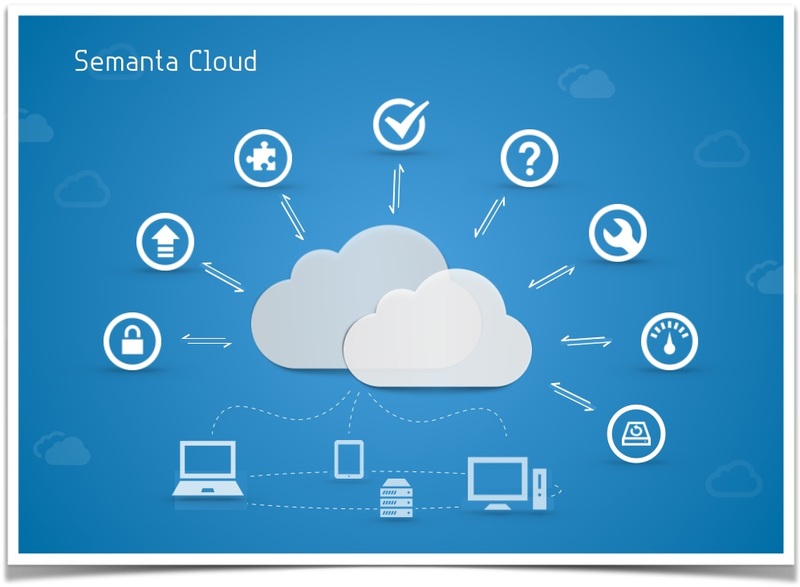 Before one starts to set up a cloud computing solution it's actually necessary to understand the security concerns that accompany this kind of system and more importantly, how can they be addressed. Need more detailed information? Let us know and we'll send you our data sheet.